Boil and parboil potatoes like a pro! These tips and tricks will ensure you get the perfect boiled potato every time! Boiling potatoes is an essential step when making dishes such as potato salad, mashed potatoes, fries or simple side dishes. 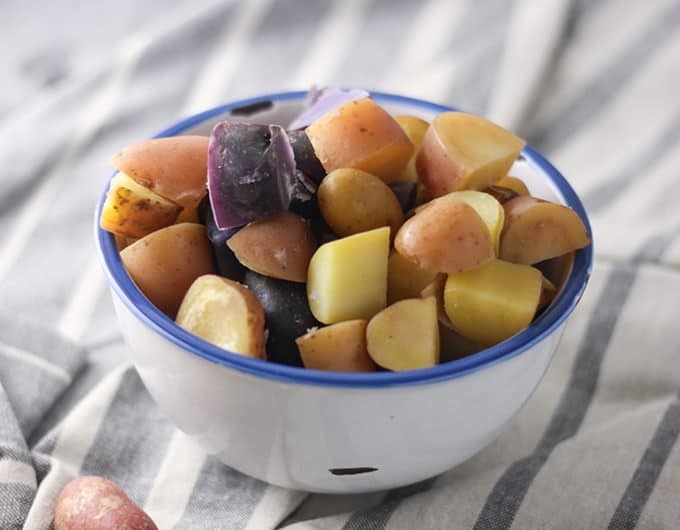 Not only are they delicious side dishes, but boiled potatoes are also quick and easy to make. The perfect boiled potato is easily achievable with a few helpful hints and tricks! The type of potato you use will depend on what you are going to use the boiled potato for. Some potatoes are better in potato salads, while others are best used for mashing. 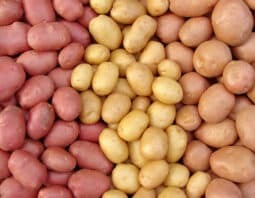 There are three main types of potatoes you need to know, but make sure you also check out this post that shares more about the different types of potatoes you’ll want to use for popular recipes. High starch potatoes, such as russet potatoes, are ideal for boiling rather than mashing. Russets will break down easily when boiled. 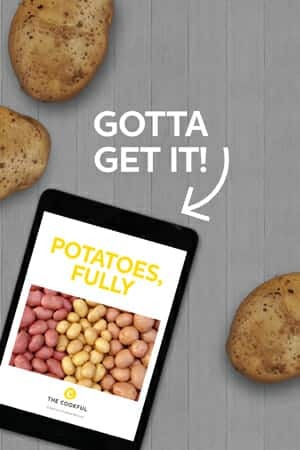 Medium starch of all-purpose potatoes, like Yukon Gold, are perfect for boiling to use in potato salads or adding to soups as they don’t fall apart as easily. 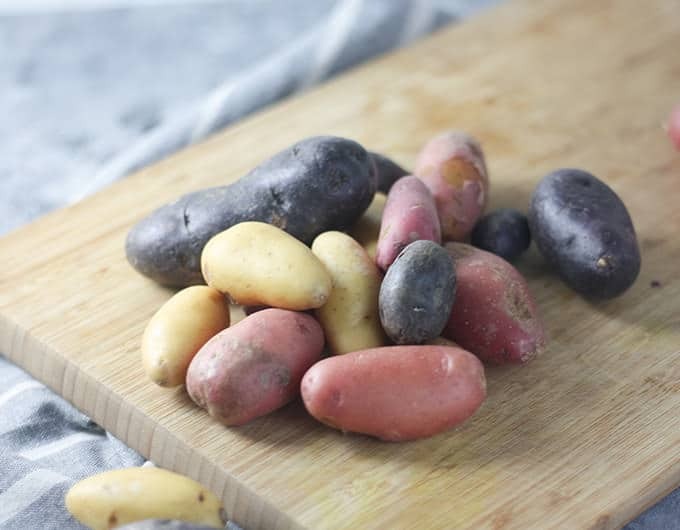 Low starch potatoes, such as red or fingerling potatoes (my personal favorite), are perfect for boiling to use in potato salads, roasted, fried or as a side dish served with butter and parsley because they don’t break down as easily and keep their shape. Again, this depends on the type of potato you are using and for what purpose. 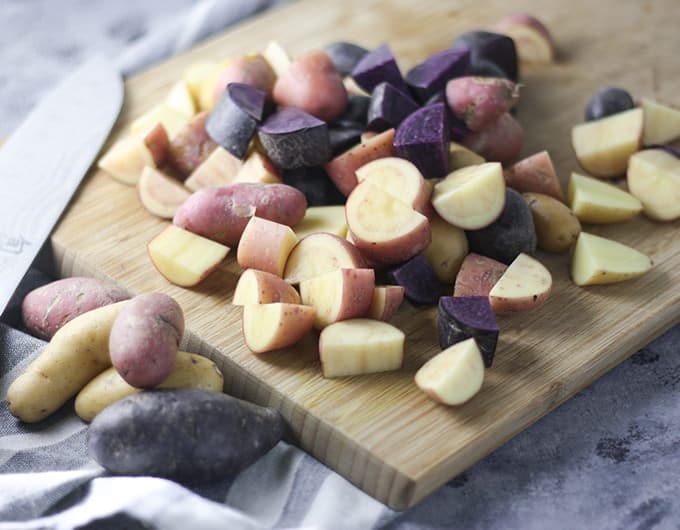 Low starch potatoes such as red or new potatoes boil better when cubed, as they hold their shape, whereas high starch potatoes boil better whole as they become water logged and mushy if cut. If cubing your potatoes, make sure they are cut to size as evenly as possible. This will ensure a consistent cooking time. 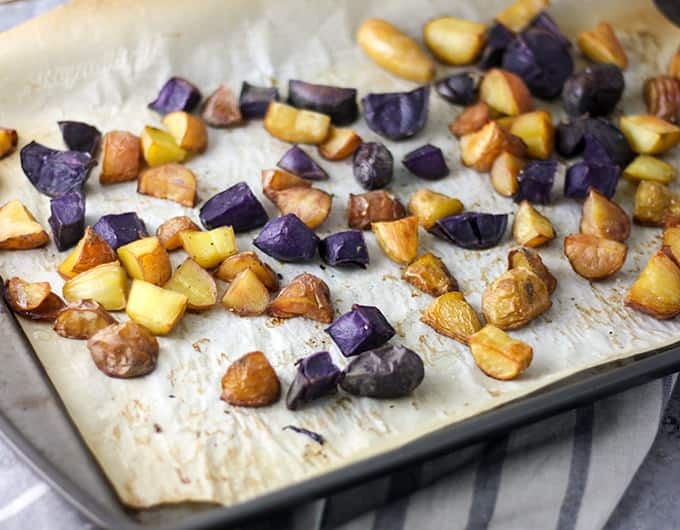 If you are cooking your potatoes whole, aim to have potatoes that are also evenly-sized. 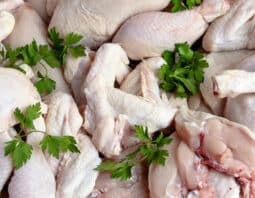 If some are smaller, you may have to remove them sooner because they cook quicker. You can do either! As long as you’ve cleaned your potatoes thoroughly, it’s a personal preference. Boiling potatoes with the skin on, however, will help keep the potatoes together better. Just note that it’s easier to remove the skin post cooking while the potatoes are still hot. Now down to the nitty gritty! The best method for boiling potatoes is to use cold water and season the water with salt. Put the potatoes in a sauce pan and fill it with just enough water to cover the potatoes. Bring to a boil, and simmer with the lid off until potatoes are ready. There is no reason to stir the potatoes while they are boiling. 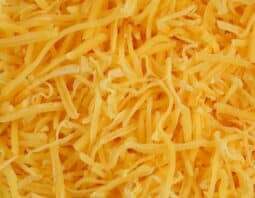 The cooking time will vary depending on the type of potatoes you use and whether they are whole or cubed potatoes. 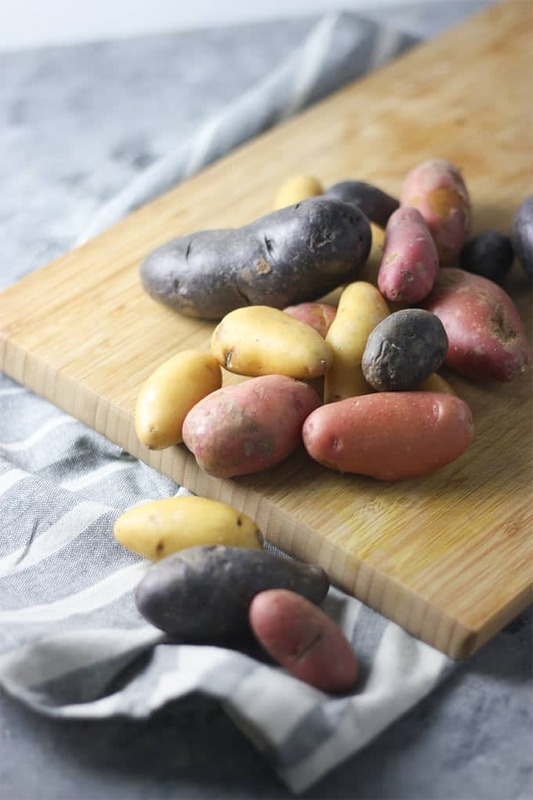 My all-time favorite potatoes to boil whole are fingerling potatoes because they are small, easy to eat and are so delicious with parsley and butter. Generally, an easy way to know if they are boiled enough is to take a potato and pierce it with a knife, skewer or fork. If the utensil easily goes into the potato with little resistance, they should be done. 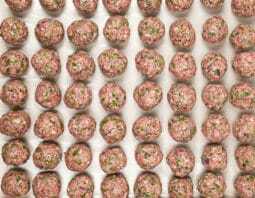 Test every 5 minutes to ensure they are not over or undercooked. Parboiling potatoes is the process of partially boiling your potatoes before cooking them again for a second time. There are many advantages to this method, such as evenly cooking the potato and decreased cooking time. To parboil potatoes, follow the same instructions for fully boiling potatoes, however, reduce cooking time. Your potatoes should not be cooked the whole way through. When testing potatoes, there should be a little resistance with the fork when you pierce the potato. Once cooked, cool your potatoes down entirely to stop the cooking process. I place my potatoes on a baking tray and place them in the freezer to cool. You can alternately drain them and fill the pot with cold water. 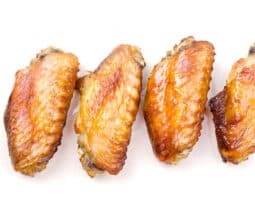 Once they’re cooled down, go ahead and use them as you normally would. For example, toss them in olive oil, salt and pepper and roast them for the most beautiful crunchy roasted potatoes. Scrub the potatoes clean using a potato scrubber. Remove any sprouts. Peel potatoes if desired then cut into evenly sized pieces or keep them whole. Place potatoes in a medium to large saucepan. Add enough cold water to just cover the potatoes. Season with salt. 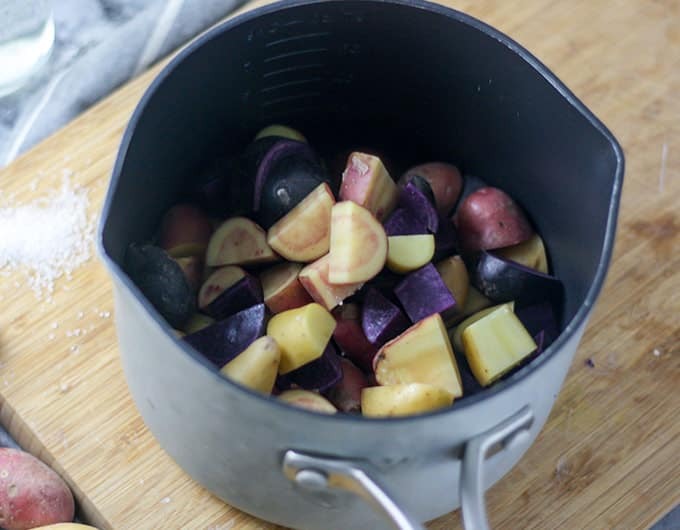 Bring potatoes to a boil, lid on, then reduce heat and simmer with the lid off. No need to stir potatoes. Check potatoes every 5 minutes. Most potatoes will take between 10 to 20 minutes. Potatoes are done when tender. Use a knife, fork or skewer to pierce a potato. If the utensil slides through easily, it is cooked. After cooking, strain potatoes through a sieve and serve. Which Potato Do I Use? Georgie is an Australian expat and the creator behind The Home Cook’s Kitchen, a blog dedicated to good food and recipes for home entertaining. Georgie is a passionate foodie, with a love for fine wine, cheese and chocolate. She believes there is nothing better than sitting down to a home cooked meal with good friends. When she’s not in the kitchen cooking, she’s out and about hiking, biking or snowboarding in Oregon with her husband and golden retriever Archie.